Pursuant to 30 ILCS 590, known as the State Agency Employees Child Care Services Act, the Department of Central Management Services may authorize state agencies to contract for the provision of child care services for its employees. 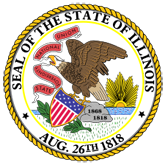 To that end, the State of Illinois presently operates two on-site child care centers, one located in Chicago and one in Springfield, as evidence of its commitment to provide a valuable service and benefit to state employees. 1. State Employee Child Care Centers 2018 Annual Report (2018AnnualReportonStateEmployeeChildCareCenters.pdf).